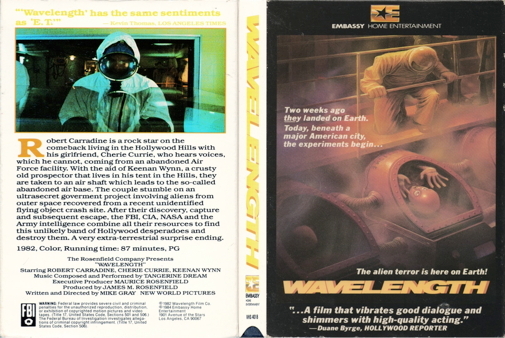 In this sci-fi film, rock musician Bobby Sinclaire (Robert Carradine) and his girlfriend, Iris Longacre (Cherie Currie), discover that the U. S. government is holding a group of benign aliens prisoner. When the government threatens to experiment on these unfortunate extraterrestrials, it is up to Bobby and friends to help them escape. The musical group Tangerine Dream provided the music for this film.